Singaporean singer Joanna Dong treated the audience to a medley of jazzed up Chinese New Year songs accompanied by Ding Yi Music Company at River Hongbao on Feb 9, 2019. SINGAPORE - Local television stars and singers were celebrated on Saturday (Feb 9) at River Hongbao, the annual Chinese New Year festival. A calligraphy and wushu performance was put up by actress Zoe Tay and actors Desmond Ng, Nick Teo, Ben Yeo and Shane Pow; while Sing! China Singaporean third place winner Joanna Dong treated the audience to a medley of jazzed up Chinese New Year songs accompanied by Ding Yi Music Company. 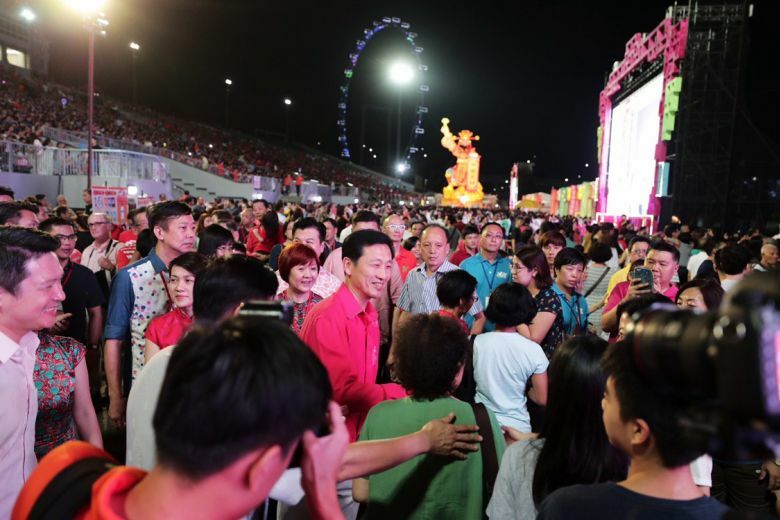 Guests at the event on Saturday included Mr Ong Ye Kung, Minister for Education, and adviser to River Hongbao, and Ms Sim Ann, Senior Minister of State for Communications and Information, as well as Culture, Community and Youth. 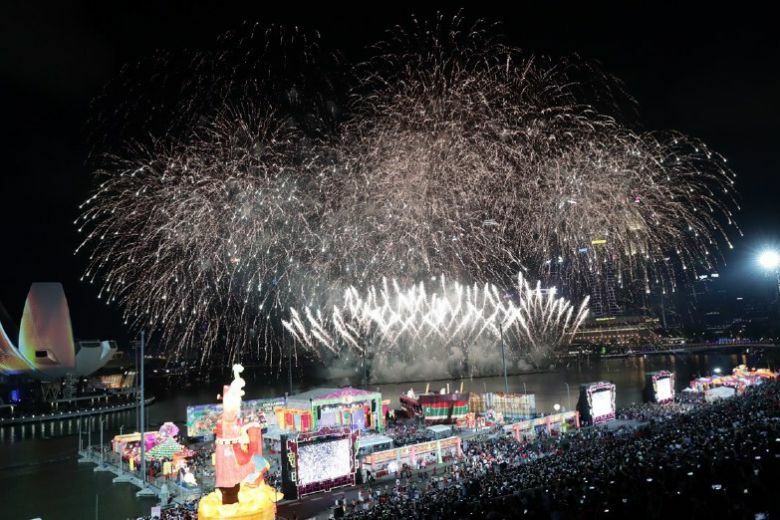 This year's River Hongbao, which started on Feb 3 and ends on Sunday (Feb 10), has seen around 1.14 million visitors so far. Mr Ong said in a speech that River Hongbao has become an annual festive event that people look forward to and it celebrates a culture that is rich and deep. Saturday's show was part of Singapore Talent Night, which took place over Friday and Saturday. Mr Ang Wei Neng, chairman of River Hongbao 2019 and MP for Jurong GRC, added: "The high quality show for two nights was meant to allow new artists with high potential to showcase their talent in front of a 30,000-strong audience. "Through the platform of Singapore Talents Night, we hope to cultivate the next JJ Lin," he said, referring to the popular homegrown singer. 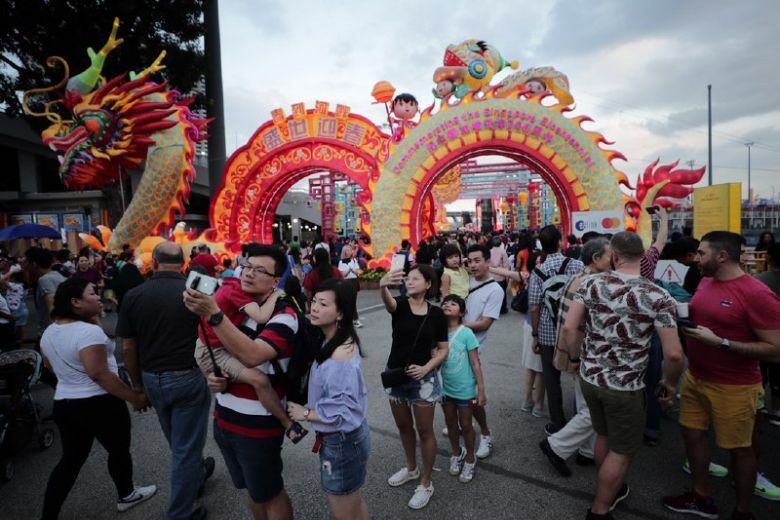 Thousands have turned up nightly at the festival held at The Float @ Marina Bay to enjoy the lanterns and zodiac animals, besides a giant God of Fortune. This year's event also featured recreations of Samsui women and a wishing well similar to Suntec City's Fountain of Wealth. The week-long festival is free for the public. On Saturday, the skies were lit for 10 minutes by fireworks by Australian provider Howard and Sons Pyrotechnics. 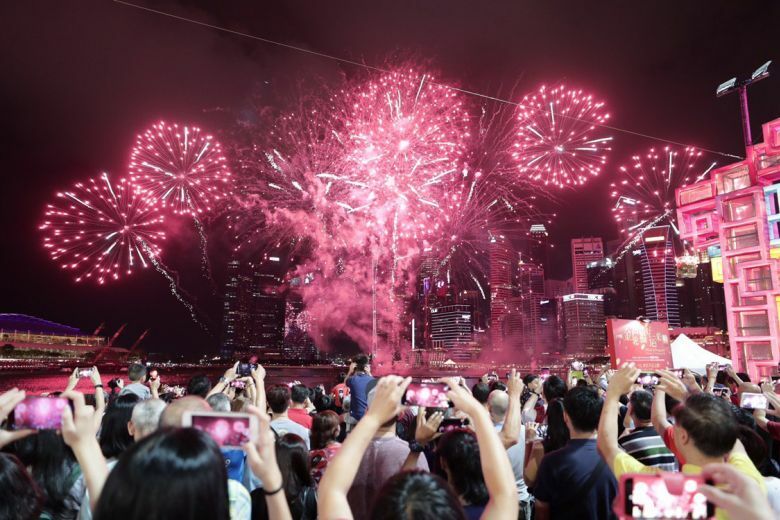 The company has routinely put up fireworks shows over the iconic Sydney Harbour Bridge for major events like Australia Day, and the 2018 Gold Coast Commonwealth Games.